Widely regarded as the world's most influential living psychologist, Daniel Kahneman won the Nobel in Economics for his pioneering work in behavioral economics — exploring the irrational ways we make decisions about risk. Daniel Kahneman is an eminence grise for the Freakonomics crowd. In the mid-1970s, with his collaborator Amos Tversky, he was among the first academics to pick apart exactly why we make "wrong" decisions. In their 1979 paper on prospect theory, Kahneman and Tversky examined a simple problem of economic risk. And, rather than stating the optimal and rational answer - as an economist of the time might have - they quantified how most real people, consistently, make a less-rational choice. Their work treated economics not as a perfect or self-correcting machine, but as a system prey to quirks of human perception. The field of behavioral economics was born. 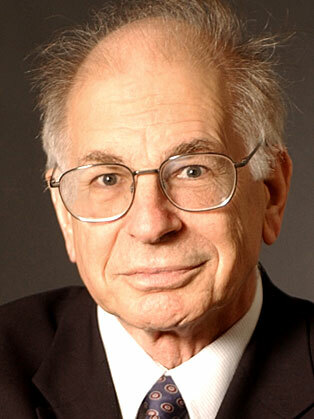 Kahneman was awarded the Nobel Memorial prize in 2002 for his work with Tversky, who died before the award was bestowed. In a lovely passage in his Nobel biography, Kahneman looks back on his deep collaboration with Tversky and calls for a new form of academic cooperation, marked not by turf battles but by "adversarial collaboration," a good-faith effort by unlike minds to conduct joint research, critiquing each other in the service of an ideal of truth to which both can contribute.